2K Sports earlier today pushed out another patch for NBA 2K19 on all platforms. This amounts to the game’s third post-release update of substance, with the last one delivering gameplay adjustments and the new shot clock rule and the first having addressed critical issues following release. This patch leans more towards the side of making fixes rather than improvements or additions. ♦Fixed an issue that caused the final league trophy and ‘Perfection’ achievement to not unlock for some users in Play Now Online. ♦Fixed an issue in Play Now Online where the wrong user could be credited with the win, in very rare occasions. ♦Updated roster images for traded players. ♦The shot clock should now properly reset to 14 seconds during online games when a foul is called and the shot clock is low. ♦Improved AI defensive switch logic for inbounds and pick & roll cases. ♦Fixed issue where pass steal attempts ignored when pressing Steal too many times. ♦Address a hang that would occur for some users following an in-game injury. ♦Fixed an issue where some users were reporting that they were not earning VC for completed Neighborhood games after exiting the Ante-Up building. ♦Addressed a case where some users noted a neck seam around their MyPLAYER’s shoulders when using a face scan. ♦Fixed an issue where Voice was not properly functioning when in the squad queue in Ante-Up. ♦Squad travelling should now properly work when using the Subway. ♦Improved ball pickup radius when playing Dodgeball. ♦Fixed a bug where opposing players would sometimes show in the Pro-Am Shootaround before the game. ♦Users now have an option to mute their opponent when playing Triple Threat Online. 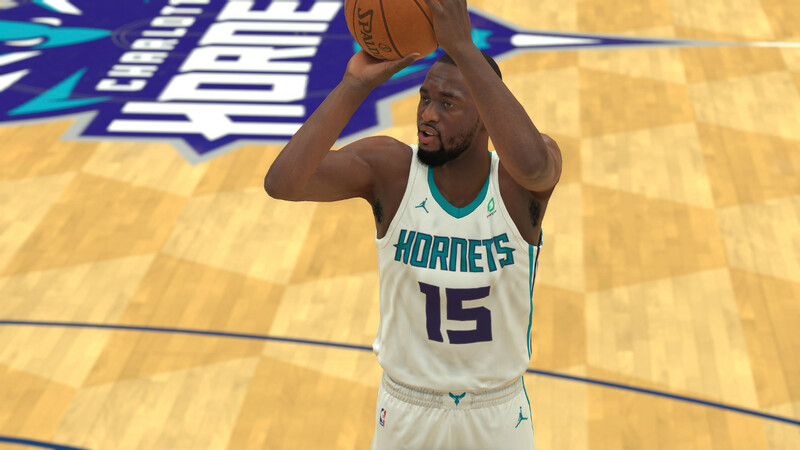 ♦Alternate uniforms should now properly upload/download when sharing team designs. ♦Fixed an issue where hot zones and some tendencies (e.g. Shot Under Basket) could progress irregularly, in certain conditions, during the offseason. ♦Addressed a case where Advanced Rotation settings would reset to default when entering the Advanced Rotations menu for a team that had previously been assigned custom values. ♦Stability improvements for MyLEAGUE Online.